In addition to “athletic” role as part of the crew, very often Enrico is also Team Manager and he manages crew decision, budget, sails order, book hotel and flyghts etc etc….. This means that he is sometimes involved in the construction of boats, entailing visits to the shipyards to check that work is progressing as planned, on schedule and according to rules and regulations. Studying the boats and what is possible to modify to have a faster boat with different conditions, is something that has always interested Enrico, especially because these aspects are fundamental for obtaining great speed useful to win races. For this reason, Enrico collaborated with same important designer, same shipyard like Italia Yachts, Nautor Swan, Cantiere Alto Adriatico and same sailmakers loft such as One Sail, North Sails, Quantum Sails, Montefusco Sails and Banks Sails and studied the development and evolution of the forms and structures according with class rules. 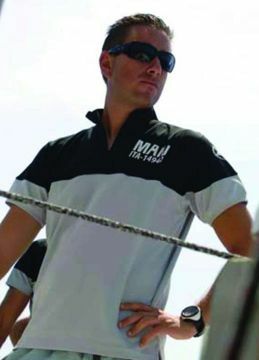 Enrico with his experience has help some Sailing Club to organize events as for example October Blu, Sail with the Champion, Minialtura Italian Championship and Chioggiavela.